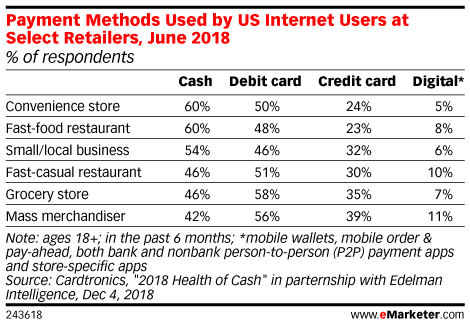 Data is from the December 2018 Cartronics report titled "2018 Health of Cash" in partnership with Edelman Intelligence. 1,000 US internet users ages 18+ were surveyed online during June 18-27, 2018. The margin of error for this sample is +/- 3.1 percentage points at the 95% confidence level. Cardtronics is a non-bank ATM provider.